SARAJEVO – European integration is not the subject that will attract many voters in the forthcoming elections in Bosnia and Herzegovina, and institutions are not doing their job to maintain the agreed pace of the process, writes Gordana Sandić-Hadžihasanović for Radio Free Europe. The elections are slowing down economic and social reforms which were planned to be concluded by the end of the year, according to the Reform Agenda. 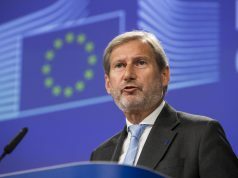 European Commissioner for Enlargement Negotiations Johannes Hahn also believes that deadlines are probably going to be moved ahead. Elections, however, are not the only reason for the fact that BiH has seen less progress in its EU path than most of the countries in the region, claims Sandić-Hadžihasanović. Federal institutions are also responsible. 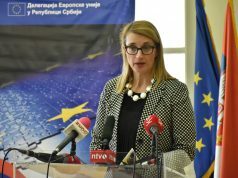 „That there is no will or desire to make the integration path faster can be seen from the lack of interest Bosnia’s MPs show when it comes to discussing about the assessments and opinions of the European Commission given in the April 2018 Bosnia and Herzegovina Report“, she writes. 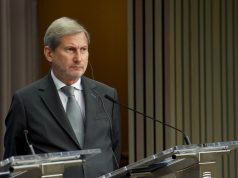 Joint Committee on European Integration, as well House of Peoples (upper chamber of Bosnia’s Parliament) have not yet discussed the Report, in the first case because there was no quorum, and in the second because the members of the Council of Ministers (country’s government) were not present. Another task in front of BiH is answering additional 655 questions sent by European Commission, after completing a 3.242-questions Questionnaire in February this year. „BiH should complete the process of answering additional questions by September, in order for the EC to grant the country a candidate status at the beginning of 2019“, said Adnan Ćerimagić from Berlin’s European Stability Initiative. „BiH is the only country that has submitted the membership request and is still without an official candidate status. That is a pity and it is completely unnecessary. 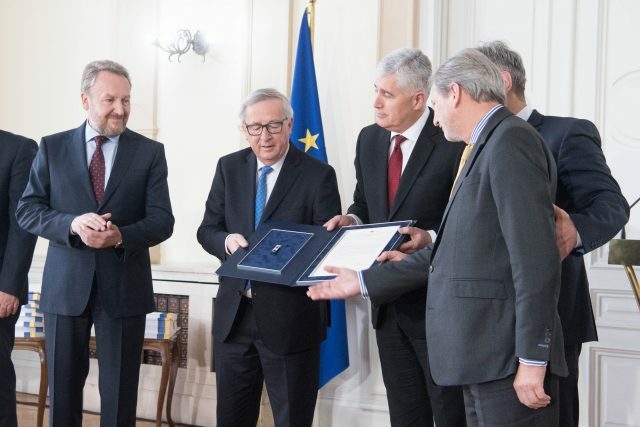 I expect that BiH will be granted a candidate status, so that it can open negotiation chapters and catch up with Macedonia and Albania“, added Ćerimagić. Member of Parliamentary Assembly, Senad Šepić, is more skeptical about Bosnia’s EU future due to the actions of political elite. „Bosnia’s politicians have a double agenda. One is for the public, in which they present European integration as the most important foreign policy goal. Another one is what happens in reality – using their representatives in the institutions, they endeavor that it never happens or that it is endlessly procrastinated“, said Šepić for Radio Free Europe. He added that this government does not want to see rule of law and European standards in BiH, success in fight against corruption and strengthening and rule of institutions which individuals will not abuse. The campaign was launched even before its official start, and it is already marked with confrontations, hate messages, exclusion and politics of conflict. That is not a right environment for EU integration progress, concludes Sandić-Hadžihasanović.